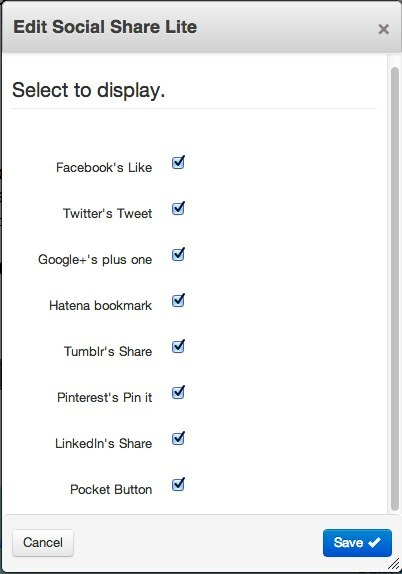 This package includes a block for simply displaying social sharing buttons. 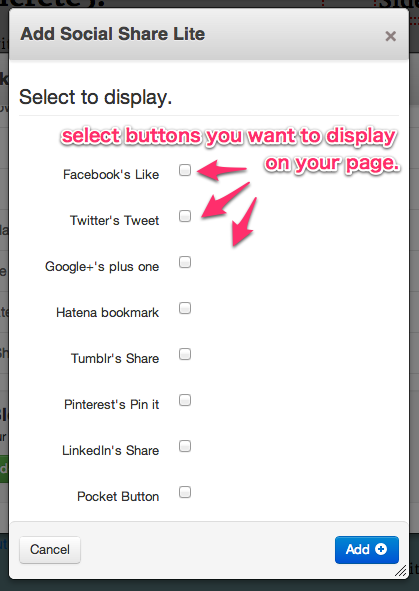 Just select social networking buttons to display. To customize (another buttons, change order), please use custom templates. 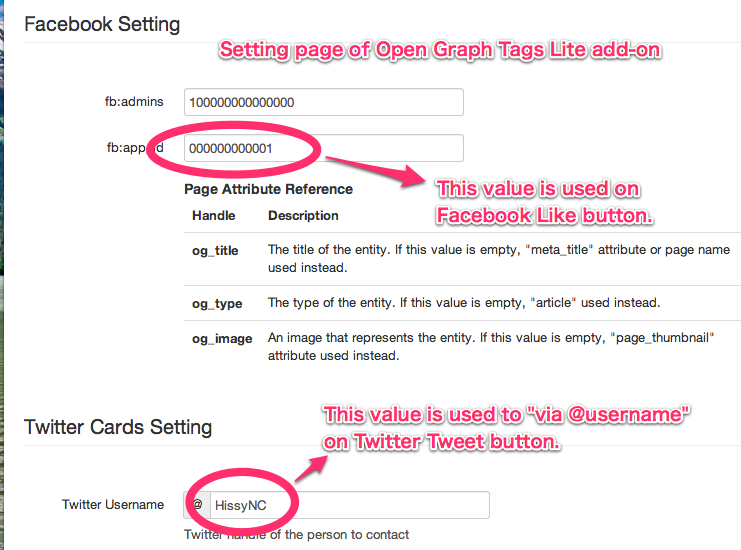 If you already set Facebook app id and Twitter account by Open Graph Tags Lite package, this block uses these setting.